Take a minute to think about the current status of your bathroom. Could be better, right? If you're anything like us, then your bathroom isn't making the best use of its available space. 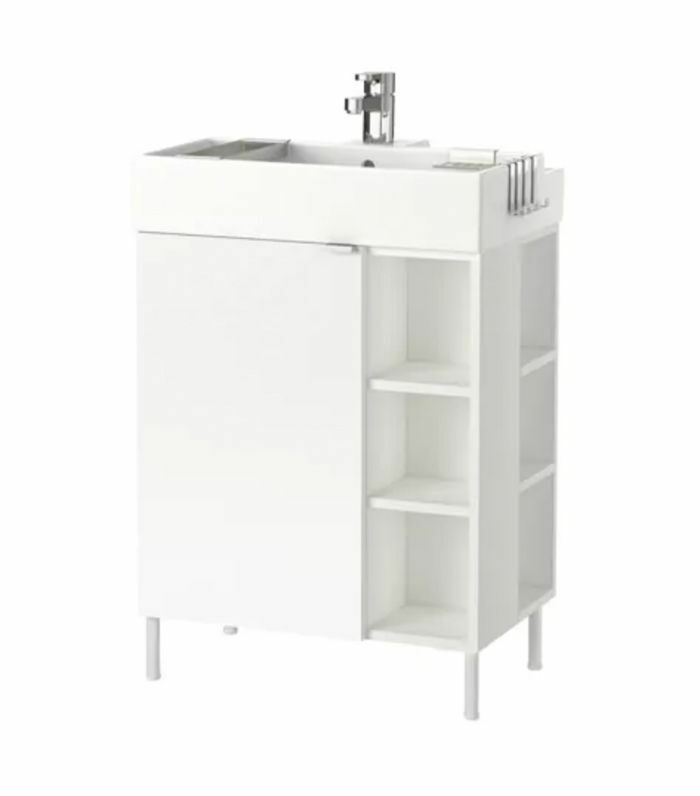 There isn't enough countertop space for toiletries, drawers for towels, or even a spot for a soap dish. If that's been the case, then you've probably managed to ignore the disarray this whole time. 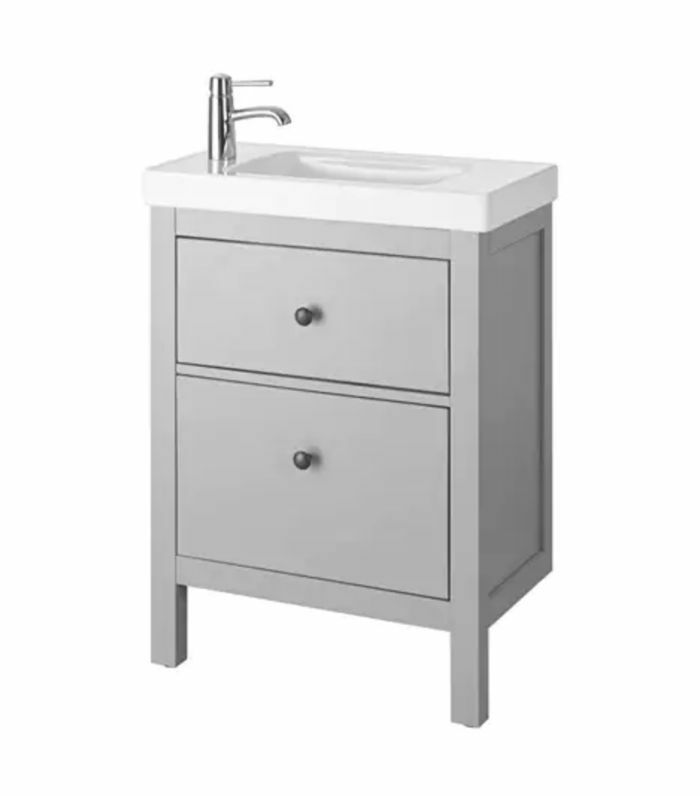 But we're here to tell you that IKEA's bathroom vanities can come to the rescue. 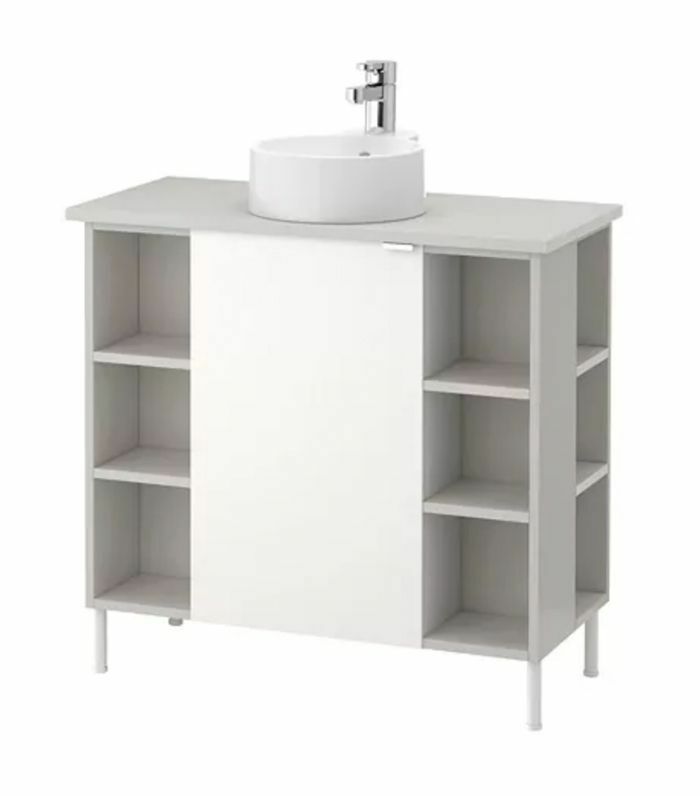 Thanks to a wide variety of options—from budget-friendly price points to small-space choices to open shelving—IKEA has everything you need for a more organized bathroom. 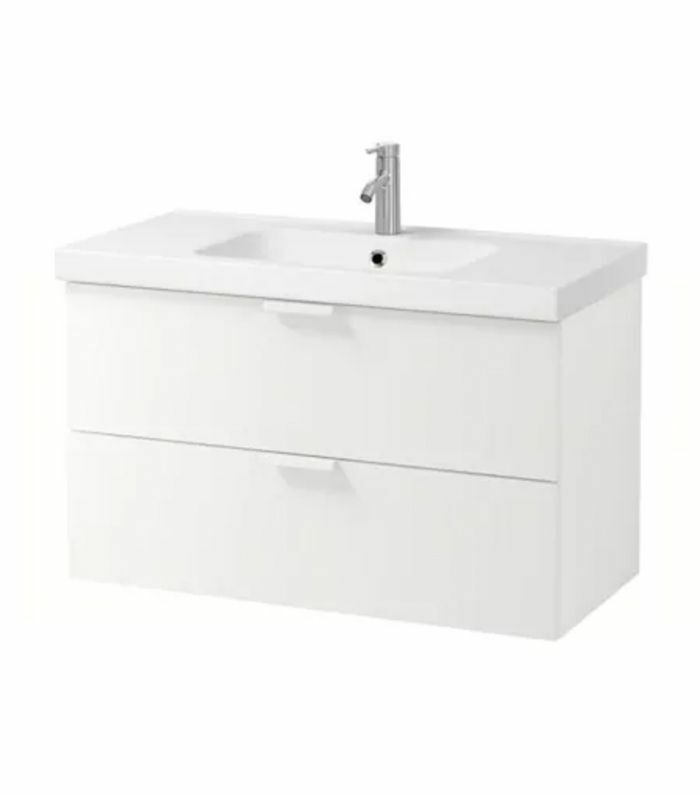 We selected 10 of the best IKEA bathroom vanities up for grabs now, so that you don't have to spend many more self-care routines in chaos. 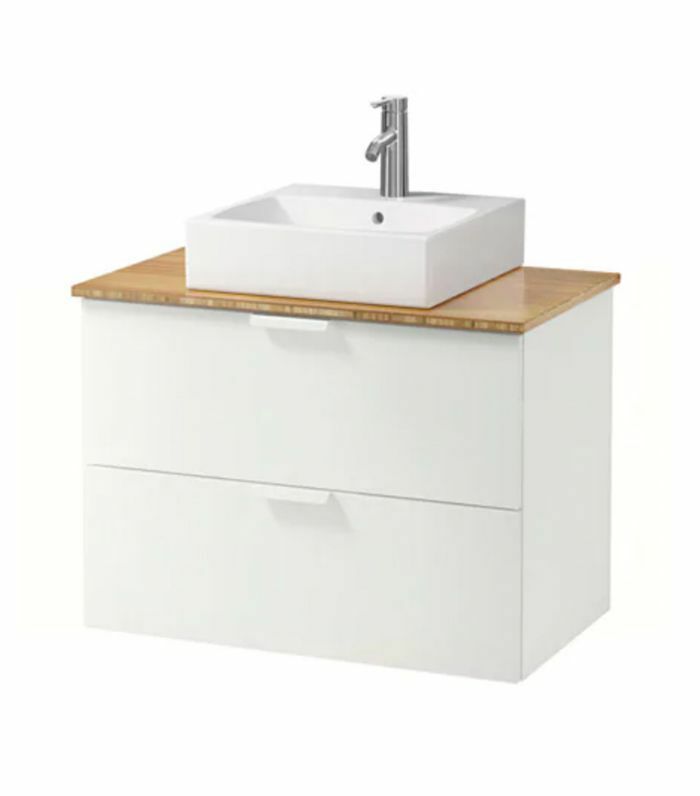 If your bathroom is small and short on storage, this vanity's compact design and built-in cabinets should help. A stainless steel towel hanger, soap dish, and tray are included, too. 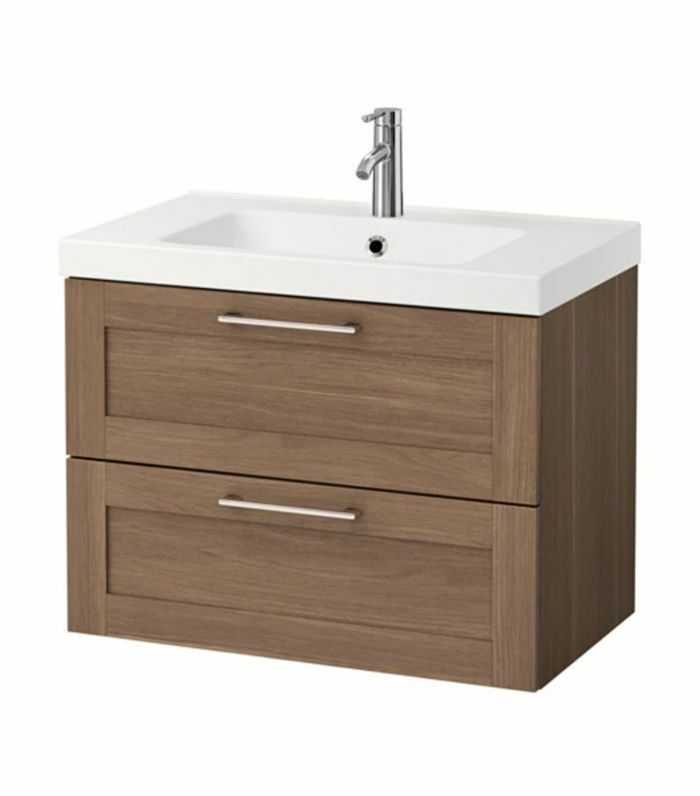 The floating appearance and matte finish of this option will make a sleek addition to your bathroom. The bottom cabinet is also scratch-resistant, if you have pets. The soft-close doors on this double vanity would be ideal for pairs who get up at different times of the morning. And the white oak detail can match almost any color scheme. 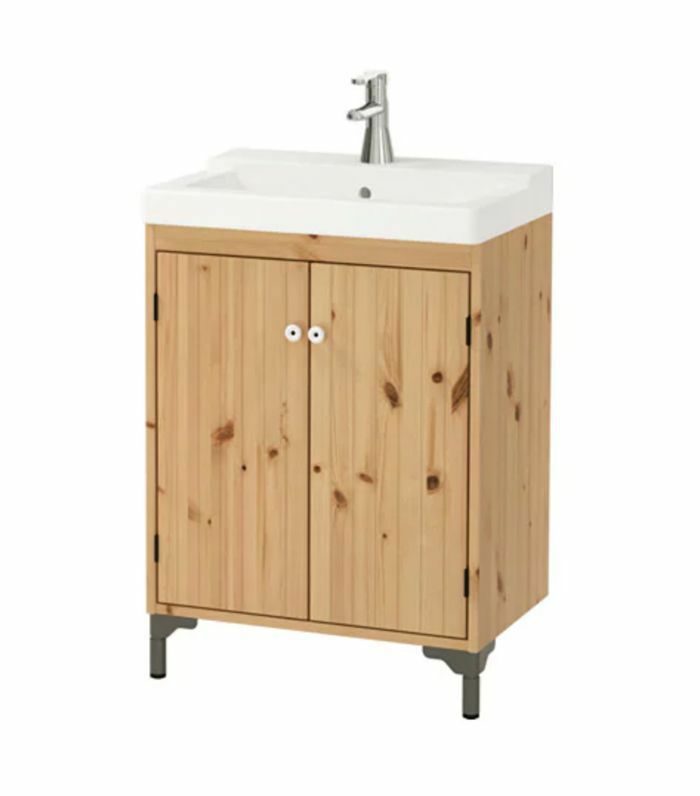 A rustic vanity will always be a charming addition to a bathroom, and this one's solid pine finish fits that bill. Pair it with raw-edge shelving to really go with the theme. 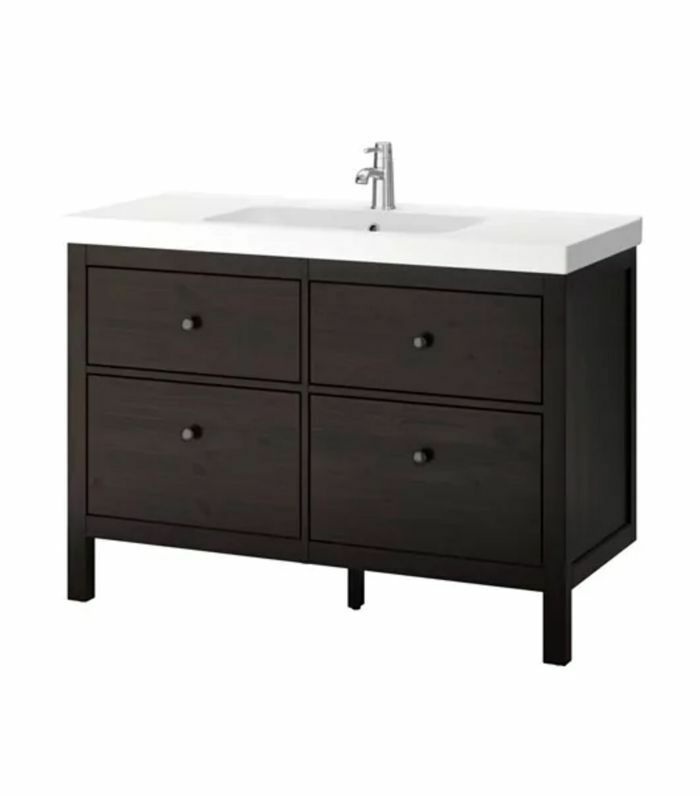 The dark finish of this solid pine vanity looks striking in a minimalist bathroom, and it has more than enough storage to fit all of the products in your arsenal. The drawers pull out fully, so you can make use of every inch. 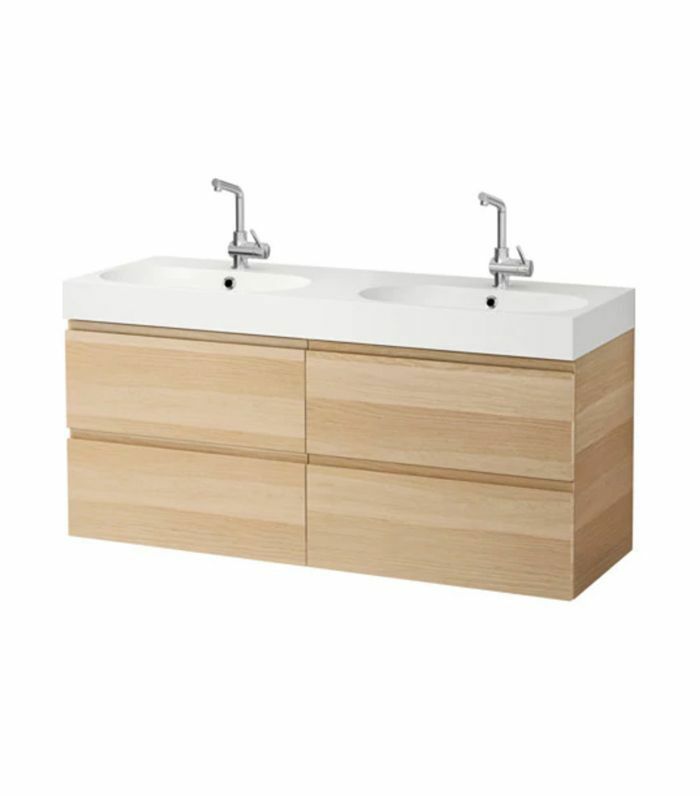 While we love the look of the solid wood drawers and bamboo countertop here, the real reason why we picked this vanity is because you can place the sink wherever you prefer—left, right, or center. The warm wood finish and soft-close doors of this vanity make it a smart option for any bathroom, but we'd suggest installing it in one with lots of natural light. The contrast will be beautiful. Sometimes a bathroom is so pitifully tiny that it takes some serious ingenuity to make it functional. Enter this compact yet chic option—measuring about 25 inches wide and 36 inches high—which can fit into a small corner and make room for storage, too. Minimalism is the backbone of this design, which also comes with its fair share of storage. We'd pair this vanity with wood accents, or even a bold wallpaper print. 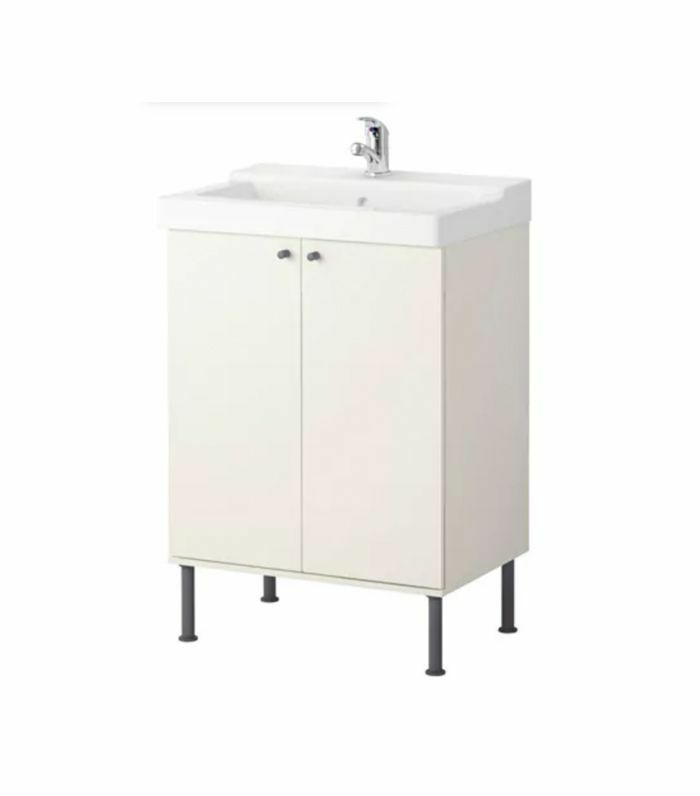 If you like all of your daily products to be within arm's reach, then this vanity should suit those needs. You can also place the sink wherever you'd like, but we think it looks best in the center.